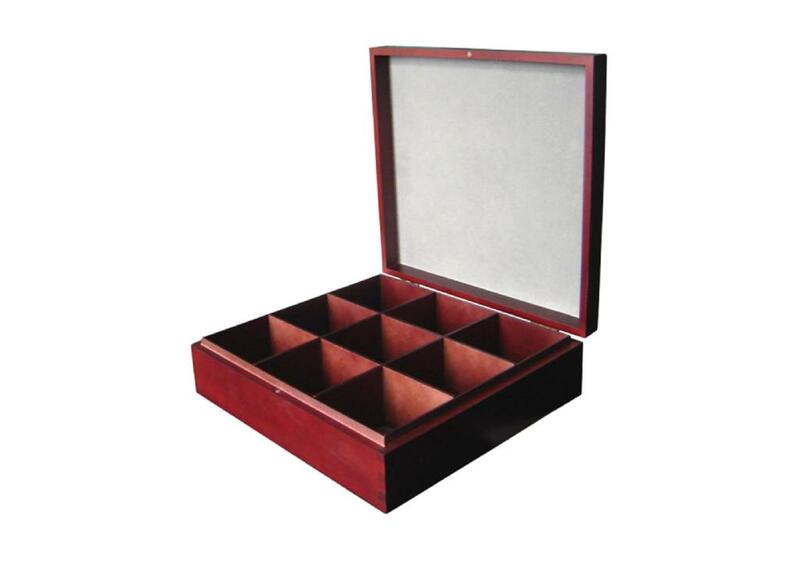 This nine compartment wood tea box is made of solid poplar wood with a size of 278x268x80mm. We've stained the inside and outside with a dark brown finish and placed a gray felt lining on both the inside lid as well as the bottom. We use butterfly hinges or two insert hinges to hold the tea box open. We also use felt lining on the outside bottom if customers desire that.